Functional materials are materials that possess particular native properties and functions of their own which includes magnetism, ferroelectricity, piezoelectricity, and storage functions. Our group investigates these materials by means of experiments, simulations and theoretical models and focuses on both fundamental research as well as applications. We aim to exploit the material properties for real live applications like magnetic sensors and neutron diffraction gratings. 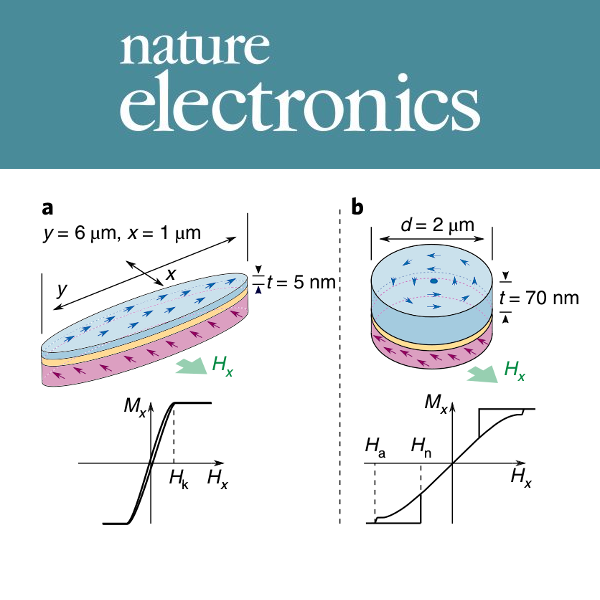 Research: From microscopic symmetry properties of crystals to the improvement of industrial magnetic sensors for speed measurements in automotive applications. Learn about our interests in the research section and have a look at our list of publications. Open positions: Interested in working in our group? Have a look at our open positions for Bachelor, Master, or PhD students. 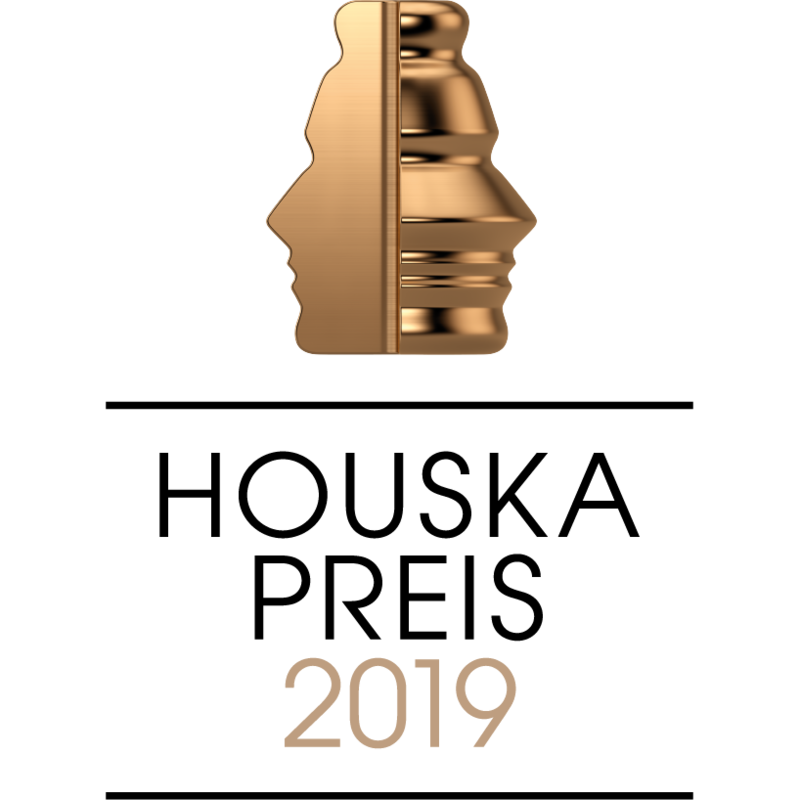 A subproject of the CD-Laboratory AMSen is nomintated for the Houskapreis 2019. 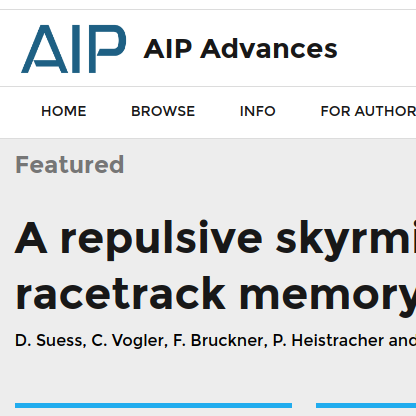 Our work on Skyrmion racetrack memory has been selected as featured article on AIP Advances. 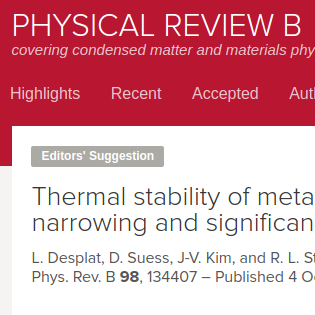 Our paper on thermal stability of metastable magnetic skyrmions was chosen as editor's suggestion on PRB. 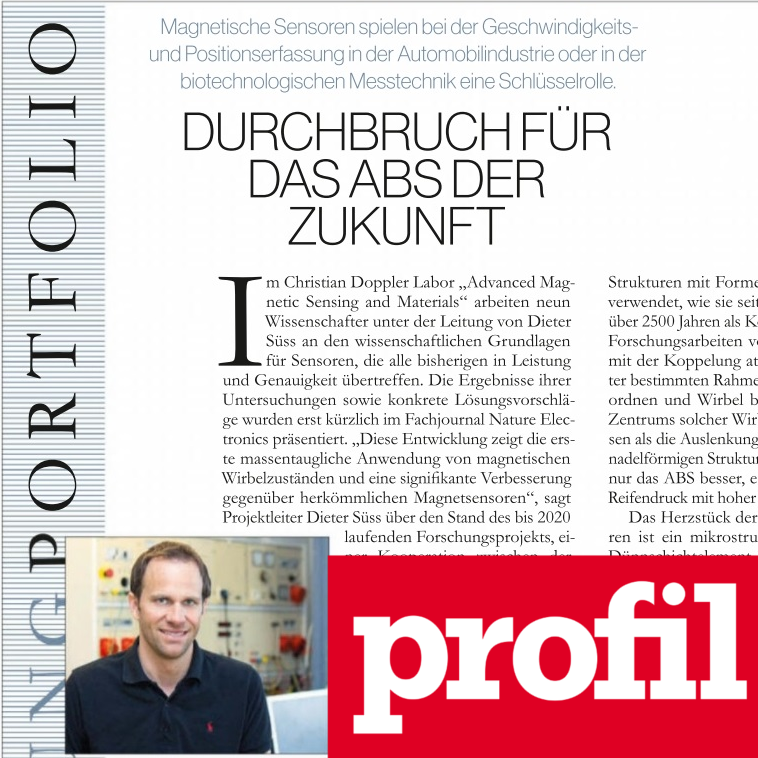 Our paper on magnetic vortex sensors that we proposed for low-noise sensing was published in Nature Electronics. 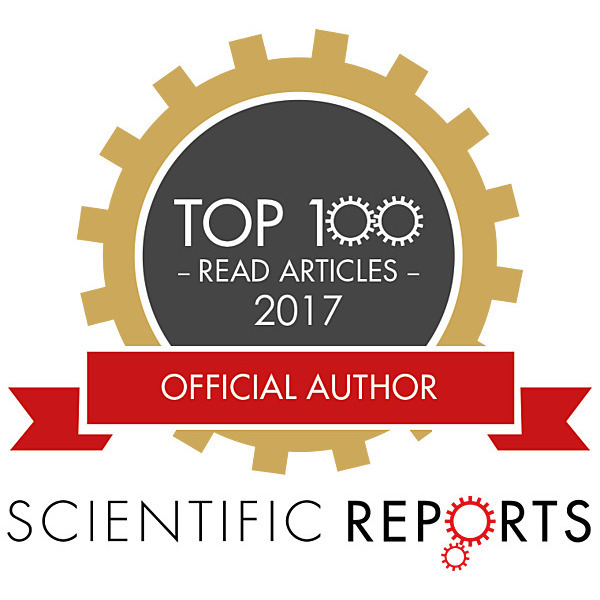 Our paper on 3D printing of magnets with variable magnetic compound fraction has been selected as one of the top 100 physics papers in 2017.